EPA is now making a decision about the Housatonic Rest of River. What do you think about the options EPA is considering? There are several options that EPA is considering for the Rest of River. EPA’s decision will impact the river for generations. 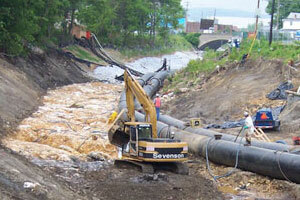 EPA believes that the Housatonic can survive another large construction project. Experts say that another large construction project will irreparably harm the ecosystem.